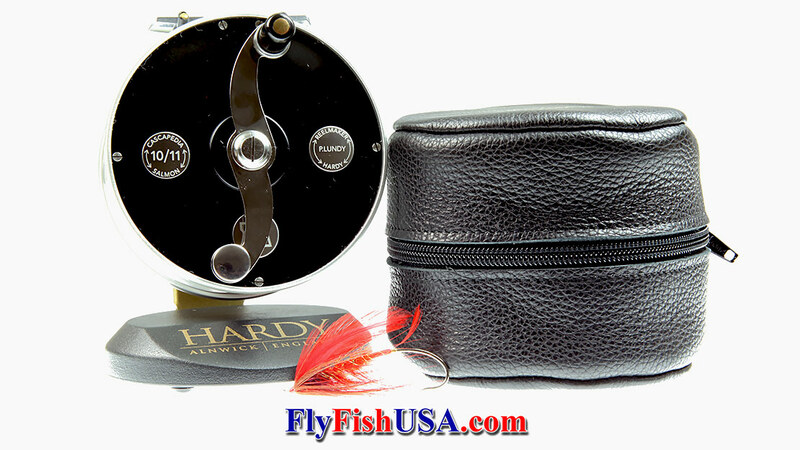 Hardy Cascapedia Fly Reel World's finest salmon/steelhead reel. Comes with fleece lined leather case. Hardy Cascapedia - possibly the world's finest salmon/steelhead reel. 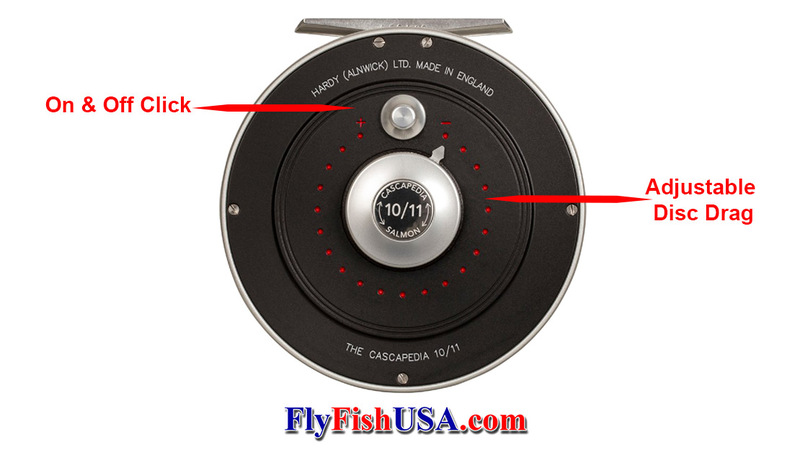 The Cascapedia is a modern classic fly reel. Two Spey sizes are offered: 8/9 weighing 12.7-ounces for rods of 13-14', requiring 7/8/9 weight fly lines, and 10/11 weighing 14-ounces for rods of 13-15', requiring 9/10/11 weight fly lines. A fully adjustable disc drag will exert enough pressure to land very large salmon, or steelhead. These reels are weighted to balance perfectly with two-hand rods. The disc drag is augmented by friction from a traditional click/pawl friction device, which may be engaged or disengaged by simply sliding a button on the back of the reel next to the drag adjustment knob. The clicker sound is pleasant, and only medium loud. 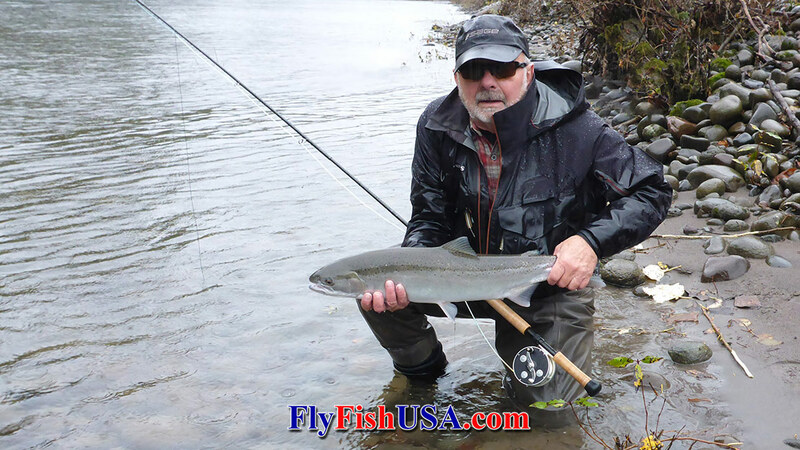 From our experience this fully machined and fully functional reel has no annoying traits. It truly is a joy to use. The original Hardy Cascapedia reels were made in UK, then for a while the next Generation of Cascapedia reels were made in Korea. In 2017 Hardy again started producing the newest and best Cascapedia reels in their factory in Alnwick, Northumberland, England. Cascapedia reels are clearly marked with the country of their origin, and the craftsman's name who was responsible for the quality of the reel is also tagged on each reel. These reels are convertible from left to right hand wind. Instructions come in the box with new reels for conversion and maintenance. Full warranty is for five years. Each Hardy Cascapedia comes with a fleece lined leather case.